FQ - Football Gold Coast > Murwillumbah Football Club Inc.
SAP Trials for u10 & u11 Boys in 2015 - Next Week! Summer 6 a side is BACK! Juniors and Seniors!!! SUMMER KIDS 6 A SIDE IS BACK!! Online registration for season 2014 NOW OPEN!!! Come down this Saturday and be a part of HISTORY!! Undefeated season still intact after 16 games!!! Just a quick reminder that the second part of our Coach Education SIBA Sessions, (Part two coach support sessions) are kicking off again for under 7-9-11's on Wednesday 26th June. All players and coaches to attend. MFC extend their lead at the top to 7 points! What a day for both grades as MFC teach Mudgeeraba a footballing lesson! Last Saturday all 4 teams of the Under 6 kids played at home. It was a beautiful sunny day on the fields! There were some great games and it was good to see that the kids are really getting the hang of it while we only are 1 month into the season. For most of the Under 6 kids this is the first time they are playing a sport in a team environment. Here you see the boys of the Blue team in action against Tweed United. The atmosphere is excellent in the U/6 camp thanks to the many very helpful and enthusiastic parents! The MFC juggernaut keeps rolling! 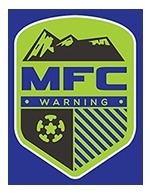 MFC Winter 6-a-side Sign On - Calling all Open Men, Women and Over 30's teams! MFC Old Boys Supporters Shirts - On sale very soon!! !